Dream-pop, shoegaze, chill-wave; whatever you call your particular brand of fuzzy goodness, there’s a ton of it about right now. Recently we’ve had big releases from Weekend, Cloud Nothings, Esben and the Witch and a host of other acts who are at least on speaking terms with Loveless. 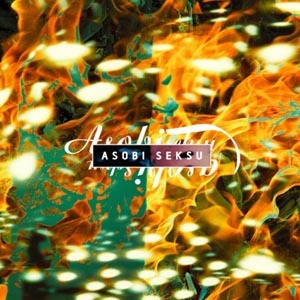 Watching from the sidelines with gritted teeth are New York’s Asobi Seksu, who pretty much perfected this stuff back in 2006 with their sophomore album, Citrus. A perfectly-balanced work of shimmering beauty, it managed to be the only album in recent memory to take on lush at their own game and win. Unfortunately, the three-years-in-the-making follow up, Hush, was both messy and somehow cripplingly safe, an introverted record that reined in the experimental flair and stalled at the gate. With the current trends in American indie, now would seem the perfect time to have another go. The prevailing feeling after giving Fluorescence a spin is that they probably should have waited a little longer. First the good: they’ve learnt their lesson. Where Hush mumbled, Fluorescence soars, opting for vast, expansive soundscapes. Co-vocalist/guitar whizz James Hanna has said that the vibe during recording was more relaxed than in previous sessions, and it shows. His sweetly distorted riffs and fills are given much more room to breathe this time around, and Yuki Chikudate’s vocals are stronger than ever; sweet and coy one moment, powerful and transcendent the next. Unusually for a band for whom noise has always been the prominent feature, Yuki’s electronics never feel forced, delicately filling out arrangements rather than smothering them. As a feat of production, Fluorescence really is something to behold. But if Joe Satriani taught us anything, it’s that great music takes more than making pretty sounds come out of machines. For all its sonic majesty, Fluorescence takes a nosedive in terms of songwriting. One of the best things about Citrus, that kept us going back to tracks like ‘Thursday’, was that buried underneath all the delightful noises were some great songs. Fluorescence has a few of these, most notably lead single ‘Trails’, easily the best thing they’ve done in five years; the kind of hook-stuffed leviathan that dreams are made of. Opener ‘Coming Up’ is also nicely hummable, and the don’t-call-it-prog halfway post ‘Leave the Drummer Out There’ is excused its minor indulgences because before setting the controls for the heart of the sun someone remembered to scribble down a few melodies. And that’s kind of it. Tracks like ‘My Baby’ and ‘In My Head’ amble past without so much as a half-hearted grab at your attention. It’s like looking at a pretty piece of art that says nothing. You can appreciate it at an aesthetic level, you just aren’t sure why you’re supposed to care. If they’d only written a few more proper songs to wrap this beautiful paper around, it’d be a much more satisfying product.